While oven is pre-heating, peel off the sweet potato skin and cut into long thin slices about less than 1cm thick. Keep them the same size for even baking results. Line up all the sweet potatoes on a dark non-stick baking sheet or pan. Drizzle coconut oil, sea salt, chilli flakes. Bake for 15 minutes on each side. It’s alright if the fries caramelised at the sides. 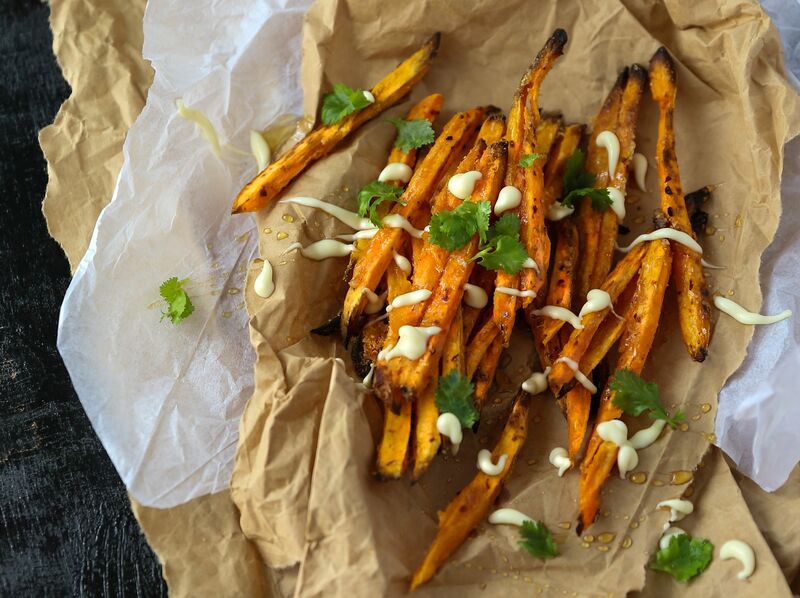 Drizzle raw honey and Japanese mayo onto the sweet potatoes, garnish with chopped coriander leaves, crushed peppercorns and serve.